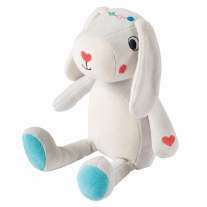 This beautiful bunny comforter toy will soothe little ones at nap time and will make a great gift for a new baby. This rabbit comforter has soft grey velour on one side and turquoise velour on the reverse with appliqued spots detailing and three knotted corners. 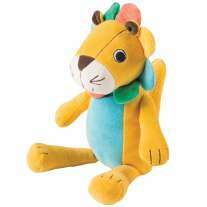 Team up with items from the Frugi range for a fab baby present. 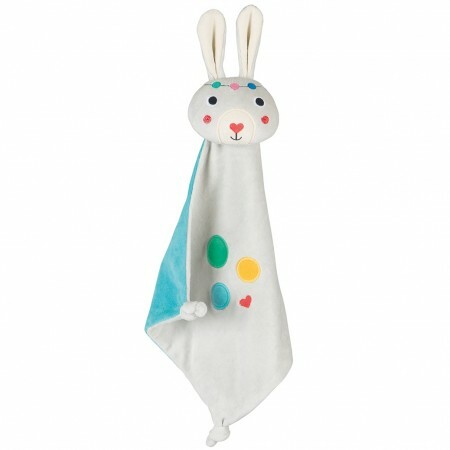 Made with organic cotton velour, it's super-soft for snuggling up to and eco-friendly too. The face measures 8cm x 10cm and the blanket measures 25cm x 25cm.